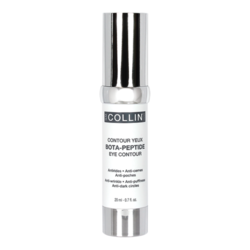 A lightweight moisturizer that hydrates the oily skin. Our Oil-Free Moisturizer is unique in its class as it is fortified with our patented blend of amino-based filaggrin antioxidants and L-ascorbic acid (Vitamin C) to provide additional anti-oxidant qualities. Its lightweight texture, soothing properties and fast absorption rate make this moisturizer ideal for patients with oily skin, but as it absorbs quickly it can be used by all skin-types if they are "on-the-go" or want a lighter moisturizer at certain times of the year. 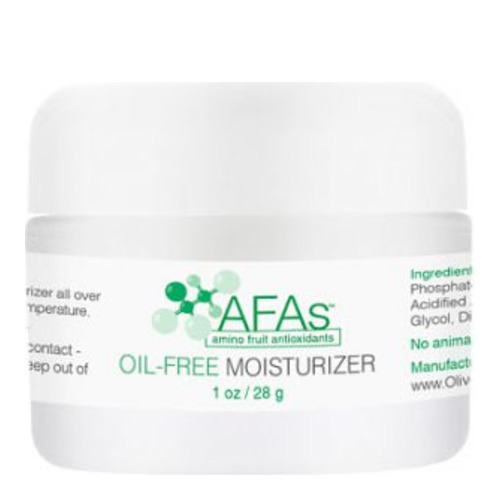 The AFA Oil-Free Moisturizer is hypoallergenic, non-comedogenic, and fragrance free. 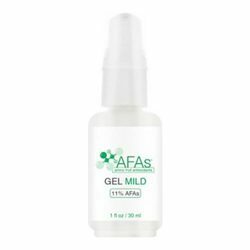 Water, Cetearyl Alcohol, Stearamidopropyl PG-Dimonium Chloride Phosphate, Isopropyl Palmitate, PPG-11 Stearyl Ether, Dimethicone, Urea, Acidified Amino Acid, L-Ascorbic Acid (Vitamin C), Dead Sea Minerals, Propylene Glycol, Diazolidinyl Urea, Methylparaben, Propylparaben, Salicylic Acid. 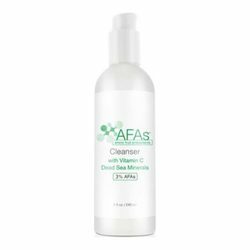 • Wash face with the AFA Cleanser. • Apply Oil-Free Moisturizer all over face and neck as needed. • Use of a daily sunscreen is recommended.